Xiaomi officially launches the powerful Mi Note with 5.7-inch 2K display. 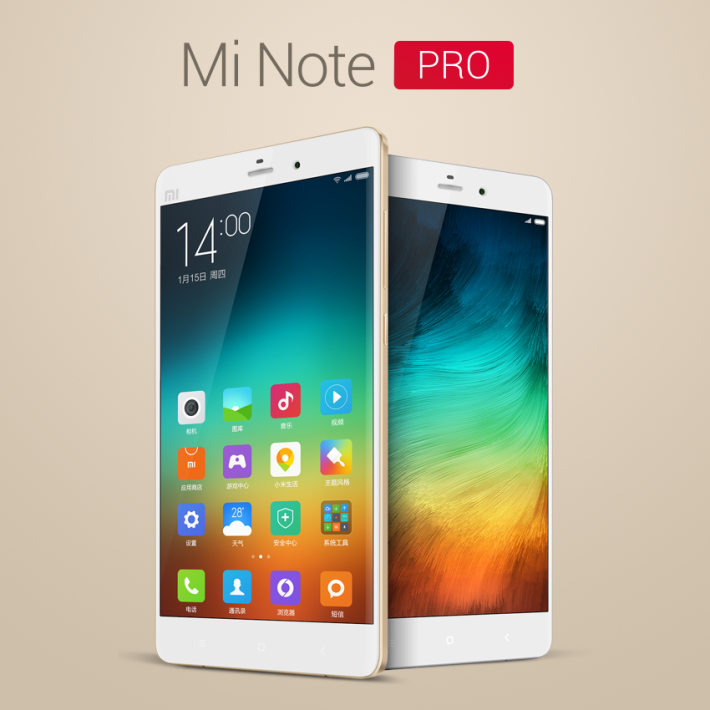 The Xiaomi Note Pro is equipped 810 octa-core processor and runs on Android 5.0 Lollipop with MIUI. It features 5.7-inch 2K display with Gorilla Glass 3 + Dual-glass. The new mobile has also 13MP rear camera with Sony IMX214 sensor paired with 4MP front camera with 1/3-inch sensor. The device comes along with 4 GB LPDDR4 RAM, 64 GB eMMC 5.0 internal storage and 3000mAh battery. Price of Xiaomi Note Pro is around Php24,000 and will have a pre-order this month.